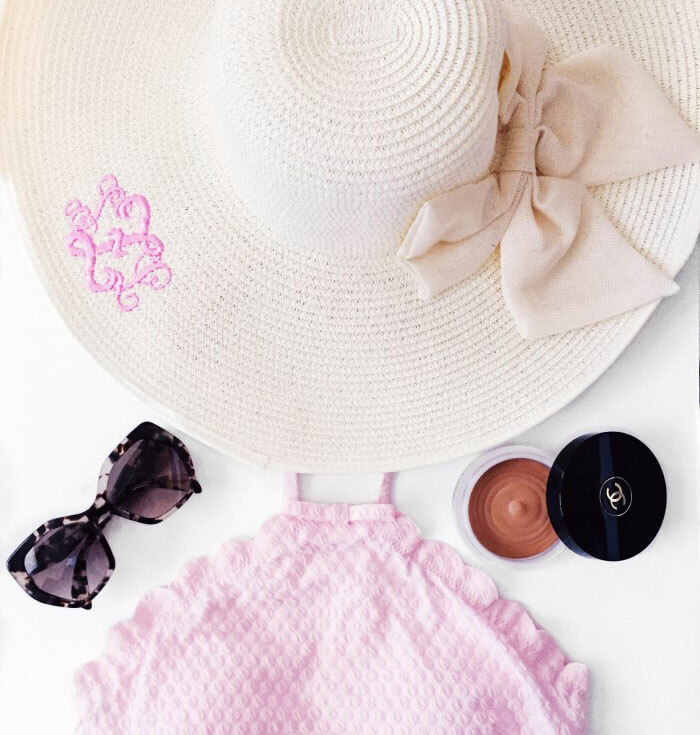 Whether your going to the beach, a horse race or doing anything outdoors, these monogrammed sun hats will keep you shaded and stylish! This Monogrammed Floppy Hat is one of our favorites because it has an adorable bow attached to it which makes it unique to other hats! Available three colors, this monogrammed hat is perfect for pairing with any monogrammed bathing suit or cute dress from our boutique! Paired with a cute spring dress, fall outfit, or bikini, this Monogrammed Wide Derby Hat is perfect for any and every occasion! The wire around the edge of these monogrammed hats allow for shaping. Available in 18 great colors from Marleylilly! 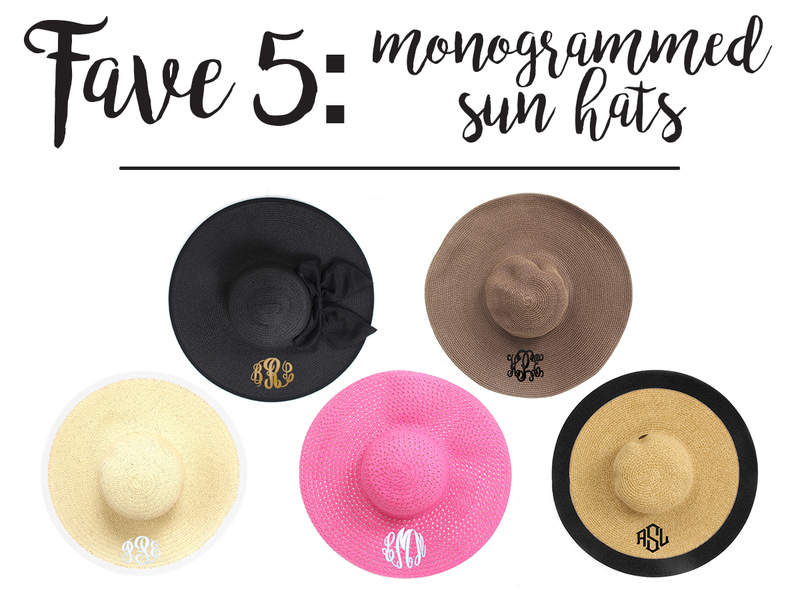 Looking for a basic Monogrammed Derby Hat? This best seller is perfect for any derby look! Because there is no wire in this hat, it has a natural look which makes it perfect for the beach! It is our favorite monogrammed accessory! 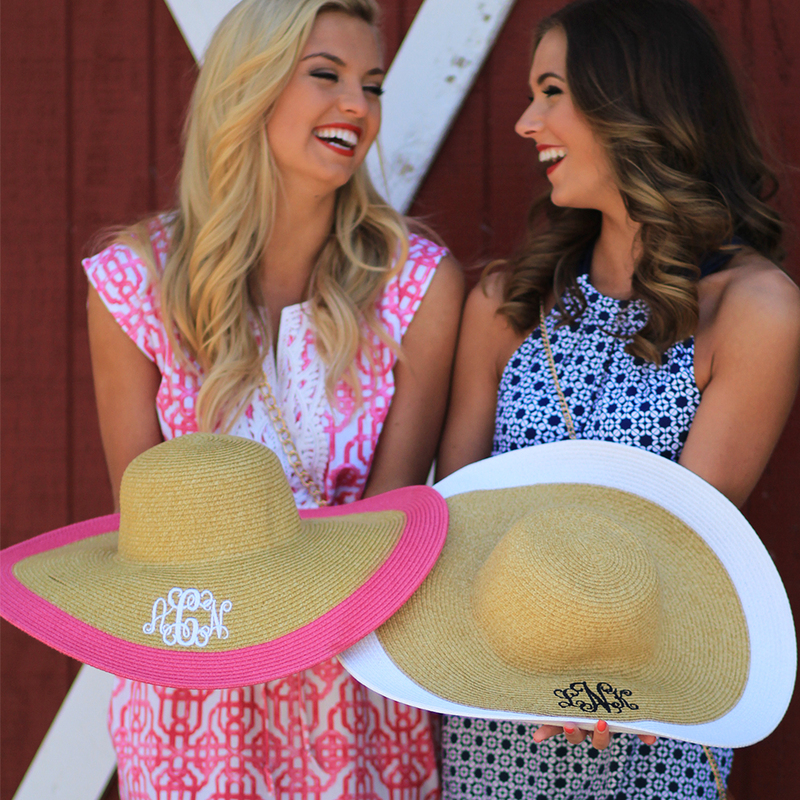 Add a pop of color to your look with a Monogrammed Wide Outline Hat! With 15 great colors to choose from, this derby hat is perfect for matching with any summer dress or maxi dress! Last but not least, this Monogrammed Breezy Hat is perfect for summer days at the beach, pool or lake! This cute personalized hat has lots of room for air flow. Looking for something sportier? Check out our Monogrammed Baseball Hats!